K 3 Follow Me 16019900 https://www.kaercher.com/us/home-garden/electric-pressure-washers/k-3-follow-me-16019900.html Our bestselling pressure washer! 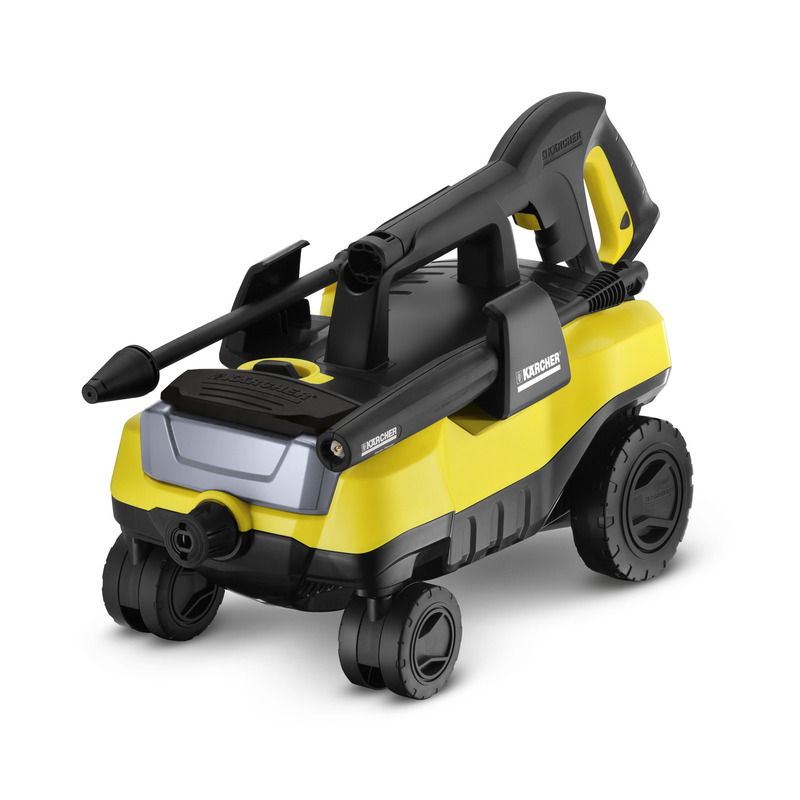 The K3 Follow Me is the only 4-wheel pressure washer on the market. 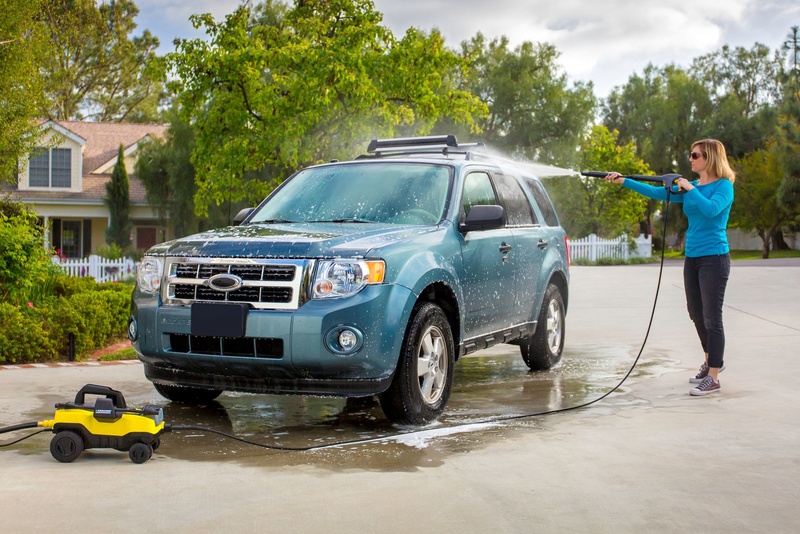 It follows behind as you clean your home and vehicles and won't tip over. 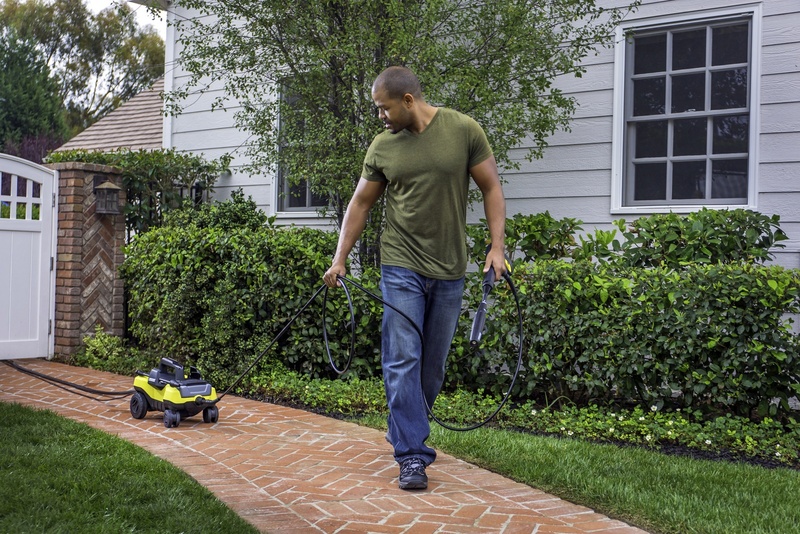 Karcher’s 1800 PSI K3 Follow Me pressure washer is designed to “follow you” while you work. Compact and convenient design delivers strong cleaning power for most household jobs. The Vario spray wand allows for quick adjustment between low and high pressure without the need to switch nozzles. 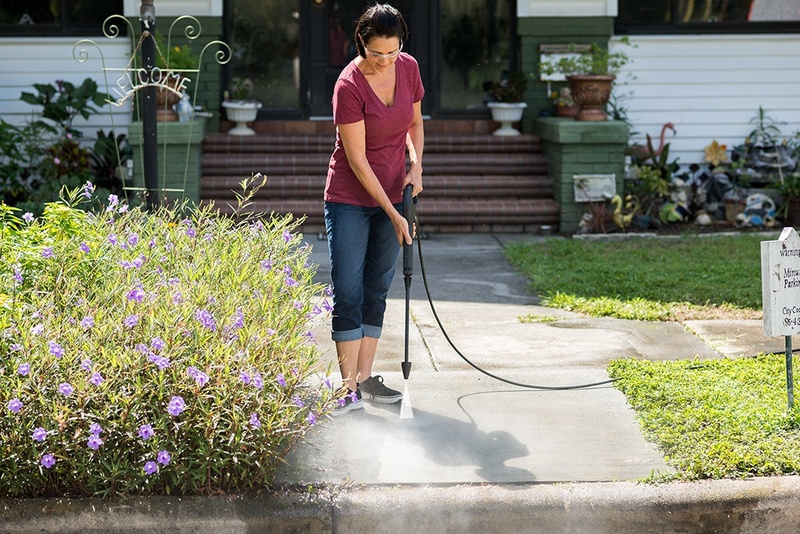 For stubborn stains, the patented Dirtblaster® spray wand will clean up the toughest areas. Onboard detergent tank included. Recognized with a Family Handyman Editor's Choice Award! Device is easy to transport. The large opening enables easy filling of the cleaning agent tank. For applying cleaning agent and reinforcing the cleaning effect. Easy pressure regulation, so that the pressure can be adjusted to different surfaces and levels of dirt. Excellent cleaning result, especially on stubborn dirt. Up to 80% greater cleaning performance (in terms of removal) compared to the VPS. K 3 Follow Me is rated 4.3 out of 5 by 174. Rated 5 out of 5 by LouisBS from Compact and powerful! This is a very handy and compact unit. Love that it follows me around and with a 35' cord I can cover a lot of ground with ease. The Vario wand is awesome as I can adjust the spray without having to switch out tips. It also came with the Dirtblaster wand which is useful on the tougher jobs. I have another 1800 psi electric pressure washer that is much bulkier and a hassle to use. It is collecting cob webs in the shop! Rated 5 out of 5 by cdtcraig from Awesome Design I love the design of this pressure washer. It is way better than the traditional stand up models that wrap the cord of the wand either around the body or on the side (because the hose isn't very flexible on the stand up kinds). I really like that this one moves around without tipping over when in use. Rated 5 out of 5 by John01 from Super convenient I love the follow me part. Makes it much easier than having to stop and move it around. I'm really happy with the power this pressurewasher has. Surprised actually! I use it on my vehicles as well as the driveway. I'm thinking about trying the windows too! But for now, I'll just day that for the car and driveway it works very well. Good quality for the price. Rated 5 out of 5 by Sp7227 from Works great! I like the fact that I can use this pressure washer without help, it’s a perfect size for me to use. Works good and am washing everything for spring. Rated 1 out of 5 by thadsand69 from Good while it lasted. Used for 1 season for genal use. Washed a camper and patio and that's about it. Removed from storage and now it leaks out of the bottom provides about the same pressure as a garden hose. Rated 1 out of 5 by grannyof3 from Failed Used it about 10 times. Thought this was a great unit for me and got the job done. Was using it and was working just fine until no water pressure and started leaking water out from the bottom of unit. Checked hose, no kinks, filter not clogged, etc. Just read reviews where others had same problem. Very disappointing. Will not buy another. Rated 1 out of 5 by Luichy from Too Expensive, poor Quality. I had this unit 14 month, I kept this machine in my closet when not in use. Only used it 7 times. when I went to use it for the 8 time, the machine lost pressure and big quantity of water started coming out of the bottom of unit. I see other people had the same problem. I felt very disappointed because I trust this Brand and for the few times that I use this Pressure Washer, I expected that last longer. Rated 1 out of 5 by bump534 from Junk I've had two of these. Neither one lasted beyond six or seven uses. Both of them lost pressure and dumped water out the bottom. My mother in law has one of the up right models (not sure which one) . It failed exactly the same way.